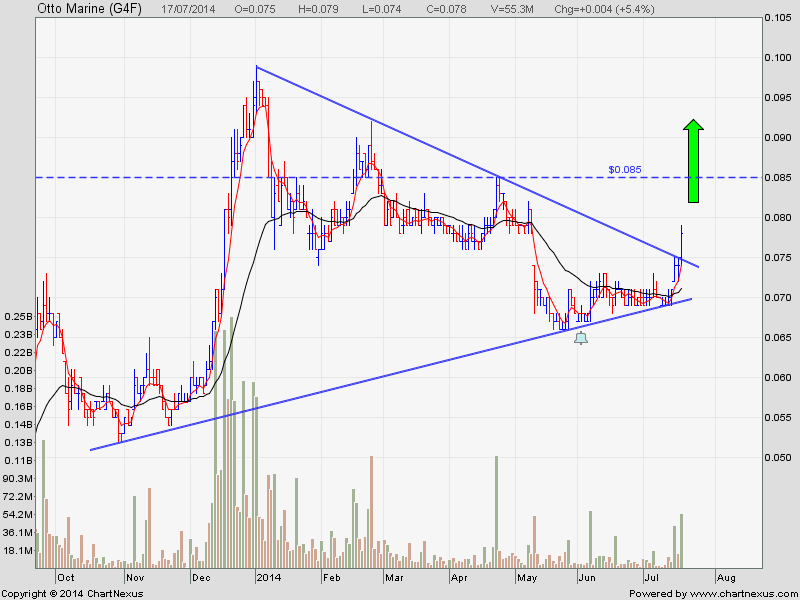 This stock had broken out of the triangle. Will run up very fast in the short term. This may be a big fat fish like Jaya. Catch it before it is gone.